Good investor opportunity. This one wont last long at this price!! Highly desirable area. Neighborhood folklore will tell you that craftsman, Harold Anderson, owner of Anderson Lumber Co around the corner, custom built many of these neighborhood homes. 3 large bedrooms. Wood Pine flooring. The home looks much larger than the square footage indicates, large master bedroom, living room & kitchen/dining combination & inside laundry room. Private tree shaded fenced backyard with parking in rear. Requires some TLC which is reflected in price. This home would not need much to fix and flip or to rent out. 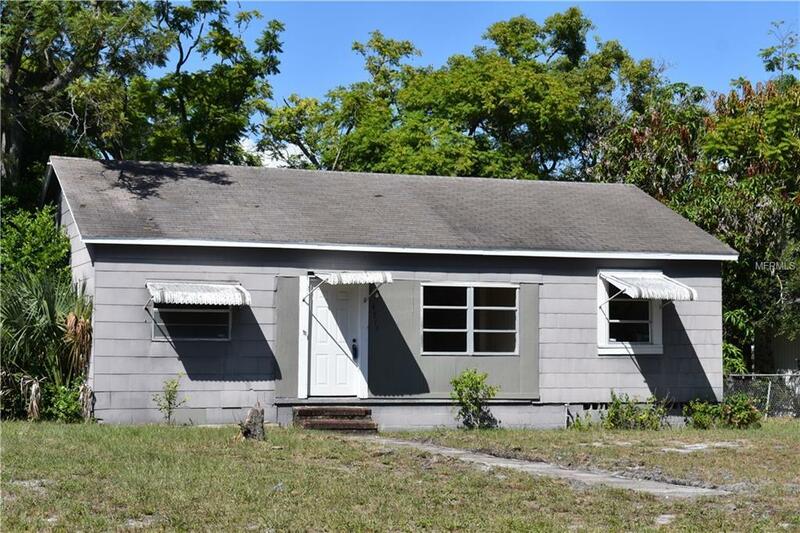 This property may be eligible for the Rebates for Residential Rehabs, from the City of St. Petersburg. Part of a larger investment portfolio that is for sale. Details on the 6 other properties are available through agent. Cash Only, no Financed offers please. Not a foreclosure. Clean title. No liens. Seller never occupied the property. No guaranties or warranties are expressed or implied. Additional Lease Restrictions Purchaser To Verify Leasing Regulations With The Local Municipalities. Listing provided courtesy of Jean Kenlan Willingham Realty.